As designers, we draw inspiration from the things around us. Whether we are behind our computers or out on a store walk, compelling design is everywhere! And with Valentine’s Day around the corner, we wanted to take some time to talk about a package design we love. Tazo Tea recently did an entire rebranding of their packaging, website and retail stores. Tazo was once hard to find, but today they are showing up everywhere from Target to Starbucks. What was once a very ornate, Zen-style package now has a clean, vibrant look. The imagery is simple and fresh, and easily communicates the flavors inside – from spicy and exotic to subtle and refreshing. With an effective use of white space, Tazo has achieved a very strong shelf presence. Visiting the new Tazo.com site is very energizing experience. It is clean, inviting and easy to navigate. In the same note, retail stores were given an updated, modern look, but are enhanced with certain elements in keeping with the traditional style. As designers, it is always exciting to spot a redesign. Visit Tazo.com to check out their new website and packaging, or to find the nearest retailer. 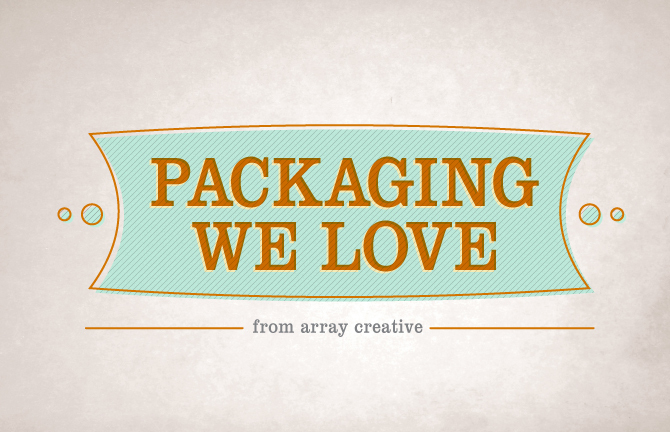 From your friends at Array, stay tuned for more great packaging spotlights!